The Childhood of Jesus: Decoding the Apocryphal Infancy Gospel of Thomas, Eugene, Oreg. : Wipf and Stock 2009. El Evangelio de la Infancia de Tomás, Salamanca, Spain: Ediciones Sigueme 2009. Når jeg så skal ut i verden: barn og tro i tidlig kristendom, Trondheim: Tapir 2009 (eds. K.O. Sandnes, O. Skarsaune, R. Aasgaard) (Children and faith in Early Christianity). Augustin: Tre ungdomsdialoger, Oslo: Bokklubben 2009. (Augustine, Three early dialogues, with T.B. Eriksen, translation and notes by R. Aasgaard). Det nye testamentet: studieutgave, Oslo: Bibelselskapet 2008 (The New Testament: Study Edition). My beloved brothers and sisters! Christian Siblingship in Paul, London/New York: T&T Clark Int./Continuum 2004. Augustin: De civitate Dei – Gudsstaten eller Guds by, innledning, utvalg og oversettelse ved R. Aasgaard, Oslo: Pax 2002 (Augustine, De civitate Dei – the City of God: Introduction, selection and translation by R. Aasgaard). Skattkisten: Tekster og vers fra den kristne barnelærdommen, Oslo: Verbum 2001, 207 s.
Våre vakreste salmer, Oslo: Gyldendal 1999, 143 s.
“Ambrose and Augustine: Two Bishops on Baptism and Christian Identity,” in Hellholm, D. et al. (eds. ), Ablution, Initiation, and Baptism: Late Antiquity, Early Judaism, and Early Christianity, Berlin/New York: de Gruyter, 2010 (30 pp., forthcoming). “Religion, Christian Views of Greek and Roman”, in Gagarin, Michael et al. (eds. ), Encyclopedia of Ancient Greece and Rome, Oxford: Oxford University Press, 2010, Volume 6, 210-11. “Uncovering Children's Culture in Late Antiquity: The Testimony of the Infancy Gospel of Thomas,” in Horn, C.B., Phenix, R.R. (eds. ), Children in Late Ancient Christianity, Tübingen: Mohr Siebeck 2009, 1-27. “From Boy to Man in Antiquity: Jesus in the Apocryphal Infancy Gospel of Thomas,” THYMOS: Journal of Boyhood Studies 3 (2009), 3-20. “Barndom i antikken og tidlig kristendom. Hva er det mulig å vite og hva vet vi?” i K.O. Sandnes, O. Skarsaune, R. Aasgaard (red. ), Når jeg så skal ut i verden: barn og tro i tidlig kristendom, Trondheim: Tapir 2009, 15-29. “Til barnets beste? Samspillet mellom hjem, kirke og skole i tidligkristen opplæring”, i K.O. Sandnes, O. Skarsaune, R. Aasgaard (red. ), Når jeg så skal ut i verden: barn og tro i tidlig kristendom, Trondheim: Tapir 2009, 143-66. “Tomas’ barndomsevangelium – den første kristne barnefortelling?” i K.O. Sandnes, O. Skarsaune, R. Aasgaard (red. ), Når jeg så skal ut i verden: barn og tro i tidlig kristendom, Trondheim: Tapir 2009, 205-19. “Ut i verden: refleksjoner rundt trosopplæring i antikken og i dag” i K.O. Sandnes, O. Skarsaune, R. Aasgaard (red. ), Når jeg så skal ut i verden: barn og tro i tidlig kristendom, Trondheim: Tapir 2009, 237-53 (sammen med K.O. Sandnes og O. Skarsaune). “Like a Child: Paul’s Rhetorical Uses of Childhood,” in Marcia J. Bunge et al. (eds. ), The Child in the Bible, Grand Rapids, Mich.: Eerdmans, 2008, 249-77. “Paul as a Child: Children and Childhood in the Letters of Paul”, Journal of Biblical Literature 126 (2007): 129-59. “Brother/Brotherhood,” New Interpreters Dictionary of the Bible Volume 1, Nashville: Abingdon, 2006 (2 pp.). “Children in Antiquity and Early Christianity: Research History and Central Issues,” Familia (UPSA, Spain) 33 (2006): 23-46. “Brothers and Sisters in the Faith: Christian Siblingship as an Ecclesiological Mirror in the First Two Centuries”, Ådna, J. (ed. ), The Formation of the Early Church, WUNT 183, Tübingen: Mohr Siebeck, 2005, 285-316. “Among Gentiles, Jews, and Christians: Formation of Christian Identity in Melito of Sardis”, Aschough, R. (ed. ), Religious Rivalries and the Struggle for Success in Sardis and Smyrna, ESCJ, Waterloo: Wilfred Laurier Univ. Press 2005, 156-74, 280-84. “‘Brotherly advice’: Christian siblingship and New Testament paraenesis,” Engberg-Pedersen, T., Starr, J. (eds. ), Early Christian Paraenesis in Context, BZNW 125, Berlin/New York: W. de Gruyter 2004, 237-65. “Brothers in Brackets? A Plea for Rethinking the Use of [ ] in NA/UBS”, Journal for the Study of the New Testament 26/2004, 301-21. “‘Kvart folk og tungemål sin lovsong fram skal bere.’ En sammenlikning av de danske, svenske og norske salmebøkene”, NTT 105/2004, 129-48. “Barn og familie i Bibelens verden: noen nye fagbøker”, STK 80/2004, 127-33. Role ethics’ in Paul: The Significance of the Sibling Role for Paul’s Ethical Thinking”, New Testament Studies 48/2002, 513-30. Annotated bibliography (in the section Childhood Studies). The bibliography has a general introduction (on the status of research etc.) and is organized thematically in several subsections (all with introductions surveying and assessing the entries/citations within the subsection, and also with crossreferences to other subsections). Each entry/citation (ca. 100) is presented with its main contents and a brief assessment (4-5 lines in total). Annotated bibliography (in the section Childhood Studies) - this 2018 edition is a thoroughly revised and updated version of the first edition from 2015. Aasgaard, Reidar (2014). Apokryf barndom - jenter og gutter i senantikke barndomsevangelier. Klassisk Forum. ISSN 0801-3179. (1), s 68- 79 Fulltekst i vitenarkiv. Aasgaard, Reidar; Bunge, Marcia J. & Roos, Merethe (ed.) (2018). Nordic Childhoods 1700-1960: From Folk Beliefs to Pippi Longstocking. Routledge. ISBN 9781138294226. 368 s.
Aasgaard, Reidar; Horn, Cornelia B. & Cojocaru, Oana Maria (ed.) (2018). Childhood in History: Perceptions of Children in the Ancient and Medieval Worlds. Routledge. ISBN 9781472468925. 384 s.
Aasgaard, Reidar; Krefting, Ellen Marie & Schaanning, Espen (red.) (2017). Grep om fortiden: Perspektiver og metoder i idéhistorie. Cappelen Damm Akademisk. ISBN 9788202565282. 301 s.
Aasgaard, Reidar & Gjerdi, Per Arne (2019, 19. mars). Hovedsaken - Bob Dylan: En gullgruve for idéhistorisk arbeid (side 31-33, hele oppslaget: 24-35).. [Fagblad]. Agenda 3:16. Aasgaard, Reidar (2018). "En typisk hverdag for et typisk barn i antikken", seminar: Barns frihet før og nå. Faglig presentasjon og paneldeltakelse..
Aasgaard, Reidar (2018). Holocen og/eller antropocen? Bibelske skapelsesfortellinger i kontekst. Aasgaard, Reidar (2018). Norske barn og hatefulle ytringer på nett - innlegg om idéhistoriske perspektiver på mobbing og hatytringer. Aasgaard, Reidar (2018). Presentasjon av prosjektet "Spede stemmer fra fortiden" (2013-2017): målsettinger og resultater. Aasgaard, Reidar & Cojocaru, Oana Maria (2018). Presentasjon av prosjektet "Spede stemmer fra fortiden: nye perspektiver på barndom i det tidlige Europa og av resultater av PhD-forskning. Ninth edition of the Childhood in Antiquity - bibliography (2018, 2351 entries). This bibliography project started in 2003 under the auspices of the University of Tampere as a rather modest enterprise of some 300 entries. Since then scholarship on ancient childhood has continued to flourish, and the original perspective of the bibliography has been widened from works by historians and classicists to include more and more scholarhip from art history, archaeology and, in particular, Biblical and Early Christian studies. The fourth edition (2008) had 1140 entries, the fifth (2010) 1573, the sixth (2014)1776, the seventh (2015) 2067, the eighth (2016) 2186. Since 2014 the bibliography has been administered and developed by the project "Tiny Voices from the Past: New Perspectives on Childhood in Early Europe" at the History of Ideas section, IFIKK, University of Oslo. Yasmin, Sfrintzeris & Aasgaard, Reidar (2018, 23. desember). Bak nyhetene: som barn ble Jesus anklaget for drap på lærer og medelever (VG, s. 17-19).. Verdens Gang. Aasgaard, Reidar (2017). Bob Dylan - verdig vinner av Nobels litteraturpris?. Rapportsammendrag om tema og resultater av forskningsprosjektet "Spede stemmer fra fortiden: nye perspektiver på barndom i det tidlige Europa. Aasgaard, Reidar (2017). Presentation of the project "Tiny Voices from the Past"/"Spede stemmer fra fortiden" (2013-17). Aasgaard, Reidar (2017). The Present State of Research on Childhood in History: New Approaches and Findings - How Close Can We Get to the Ancient Child: Methodological Potentials. Aasgaard, Reidar (2017). The Present State of Research on Childhood in History: New Approaches and Findings - Introduction to the Tiny Voices Project. Aasgaard, Reidar (2017). Tiny Voices from the Past: main approaches and results. Aasgaard, Reidar & Fiske, Anna (2017). IN SPE: Forfattarars kreative barndom. Samtaleintervju ved opninga av utstilling på Nasjonalbiblioteket..
Baarøy, Fillip-André; Chausse, Camilla Marie & Aasgaard, Reidar (2017, 14. desember). HFs julekalender - luke 24: Juleevangeliet og Jesu barndom i Tomas' barndomsevangelium. [Internett]. HFs kommunikasjonsseksjon, facebook. Aasgaard, Reidar (2016). Augustin, den kristne tradisjon og idéhistorie. Vårt land. ISSN 0805-5424. Aasgaard, Reidar (2016). Barn og Bob: om å se verden nedenfra. Aasgaard, Reidar (2016). Between Paramount Faith and Original Sin: Children and the Bible in Jerome, Chrysostom and Augustine. Aasgaard, Reidar (2016, 13. oktober). Intervjuer i forbindelse med tildelingen av Nobels litteraturpris til Bob Dylan. NTB, Dagsavisen, Klassekampen, Vårt Land, Uniforum. Aasgaard, Reidar (2016). Mellom evolusjon og revolusjon: refleksjoner over erfaringer med oversettelse av Det nye testamentet 2005. Aasgaard, Reidar (2016). Når andre tolker Bob: Dylan i tradisjonen. Aasgaard, Reidar (2016). Sterke reaksjoner på nobelpris til Dylan http://khrono.no/2016/10/sterke-reaksjoner-pa-nobelpris-til-dylan. Khrono.no. ISSN 1894-8995. Aasgaard, Reidar (2016, 14. september). Tema, Barn og sorg: På vei til å bli dødsåpne, s. 14-19. Vårt Land. Aasgaard, Reidar (2016). The Child in the Bible – and Beyond: Recent Trends in Research. Eighth edition of the Childhood in Antiquity - bibliography (2016, 2186 entries). This bibliography project started in 2003 under the auspices of the University of Tampere as a rather modest enterprise of some 300 entries. Since then scholarship on ancient childhood has continued to flourish, and the original perspective of the bibliography has been widened from works by historians and classicists to include more and more scholarhip from art history, archaeology and, in particular, Biblical and Early Christian studies. The fourth edition (2008) had 1140 entries, the fifth (2010) 1573, the sixth (2014)1776, the seventh (2015) 2067. Since 2014 the bibliography has been administered and developed by the project "Tiny Voices from the Past: New Perspectives on Childhood in Early Europe" at the History of Ideas section, IFIKK, University of Oslo. Aasgaard, Reidar & Ekelund, Kristina (2016, 13. oktober). Intervju i forbindelse med tildelingen av Nobels litteraturpris til Bob Dylan. [Radio]. NRK P1, Østlandssendingen. Aasgaard, Reidar & Sommer, Petter (2016, 13. oktober). Intervju NRK P1 og P2 i forbindelse med tildelingen av Nobels litteraturpris til Bob Dylan. [Radio]. NRK P1 og P2. Haugedal, Sigmund & Aasgaard, Reidar (2016, 29. oktober). Intervju: "Norske Dylan-eksperter: Han ville nok heller ligget på en yacht i Karibien enn å la seg hylle av svensk overklasse". Aftenposten.no. Hobson, Anette & Aasgaard, Reidar (2016, 08. oktober). Intervju i programmet Ekko (NRK P1) 08.10.2016 om å forholde seg til døende og døden, i forbindelse med den internasjonale dagen for hospice og palliativ omsorg.. [Radio]. NRK P1, programmet Ekko. Liland, Ørjan & Aasgaard, Reidar (2016, 26. oktober). Bob Dylan som sanger/forfatter og tildelingen av Nobels litteraturpris. [Radio]. Tekstbehandlingsprogrammet (litt.progr. ), Nova studentradio. Aasgaard, Reidar (2015). Bibliographical Resources for research on ancient childhood. Aasgaard, Reidar (2015). Masterclass (forelesninger og seminar, fire sesjoner) i Codex Sabaiticus-prosjekt (oversettelse til tysk av Tomas' barndomsevangelium). Aasgaard, Reidar (2015). Respons til Margaret Y. MacDonalds bok "The Power of Children: The Construction of Christian Families in the Greco-Roman World" (presentasjon)..
Aasgaard, Reidar (2015). The Protevangelium of James and the Infancy Gospel of Thomas: Orthodoxy from Above or Heterodoxy from Below?. Aasgaard, Reidar (2015, 30. september). Unges arbeidsmoral imponerer ikke. Universitas, s. 8. Aasgaard, Reidar (2015, 12. september). Verdens Gang aktuelt: Kropp og nakenhet. Verdens Gang Helgebilag (s. 34-37). Seventh edition of the Childhood in Antiquity - bibliography (September 2015, 2067 entries). This bibliography project started in 2003 under the auspices of the University of Tampere as a rather modest enterprise of some 300 entries. Since then scholarship on ancient childhood has continued to flourish, and the original perspective of the bibliography has been widened from works by historians and classicists to include more and more scholarhip from art history, archaeology and, in particular, Biblical and Early Christian studies. The fourth edition (2008) had 1140 entries, the fifth (2010) 1573, the sixth (2014)1776. Aasgaard, Reidar (2014). Childhoods A.D. 400: Three saints (Jerome, Chrysostom, Augustine) on children and their formation. Aasgaard, Reidar (2014, 10. april). Dåp er blitt det nye bryllupet (s. 1, 13-15). Vårt Land. Aasgaard, Reidar (2014). En kjønnet barndom?. Aasgaard, Reidar (2014). I Shall Be Released: Bob Dylan og kristen tro. Aasgaard, Reidar (2014). Introduction to Childhood Studies and to the "Tiny Voices" projects. Aasgaard, Reidar (2014). Kvinnedagen, Legeforeningen og reservasjonsretten http://www.dagsavisen.no/nyemeninger/alle_meninger/cat1003/subcat1018/thread298844/#post_298844. Dagsavisen - Nye Meninger. Aasgaard, Reidar (2014). Med Bibel i Babel: Bob Dylan som teolog. Aasgaard, Reidar (2014). Samtale med oversetter Aslak Rostad om hans gjendiktning av Hesiod i Gyldendals oversettelsesserie "Kanon". Aasgaard, Reidar (2014). The Protevangelium of James and the Infancy Gospel of Thomas: Orthodoxy from Above versus Heterodoxy from Below?. Aasgaard, Reidar (2014). Tradisjonalist og visjonær: Bob Dylan som kulturspeil. Sixth edition of the Childhood in Antiquity - bibliography. (January 2014, 1776 entries) This bibliography project started in 2003 under the auspices of the University of Tampere as a rather modest enterprise of some 300 entries. Since then scholarship on ancient childhood has continued to flourish, and th e original perspective of the bibliography has been widened from works by historians and classicists to include more and more scholarhip from art history, archaeology and, in particular, Biblical and Early Christian studies. The fourth edition (2008) had 1140 entries and the fifth (2010) 1573. 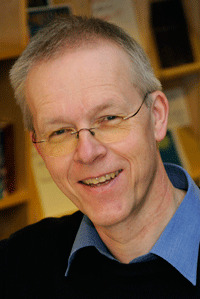 Aasgaard, Reidar (2013). Apokryfe barn: jenter og gutter i senantikke barndomsevangelier. Aasgaard, Reidar (2013). Challenges in Writing a Commentary on the Infancy Gospel of Thomas. Aasgaard, Reidar (2013, 03. juli). Deltakelse i Ekko, NRK P2. Samtale: Er nakenhet naturlig? (Om kropp, nakenhet og naturisme gjennom historien og i dag). [Radio]. NRK P2. Aasgaard, Reidar (2013). Djevelens idéhistorie. Aasgaard, Reidar (2013). Spede stemmer fra fortiden: nye perspektiver på barndom i det tidlige Europa (prosjektpresentasjon). Aasgaard, Reidar (2013). Tiny Voices from the Past: New Perspectives on Childhood in Early Europe (project presentation). Aasgaard, Reidar (2013). Tradisjonalist og visjonær: Bob Dylan som speil av vår moderne anglo-amerikanske kultur. Filosofi- og idéhistorie 600 f.Kr. - 1800 e.Kr.